Fresh off my post, “Concur, It’s Not Your Fault”, I still think a good design simply isn’t enough and sometimes people are at fault. 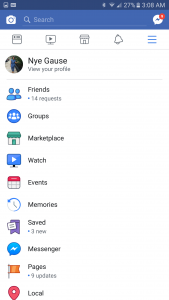 To further test this theory, I decided to do a quick usability test with my mom and the Facebook mobile application. 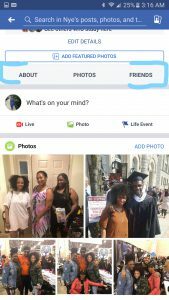 I used my mom to complete this usability test because she is not tech savvy, and although she has a Facebook account, she doesn’t add her own photos or write her own posts. 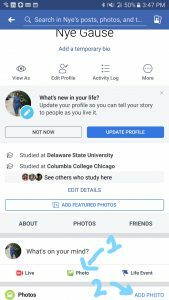 One of the duties as my mom’s child, is to make sure her profile is always updated. For the usability test, I asked my mom to upload a photo, specifically, an image that would appear on her wall/timeline. When I asked her to upload the photo, she went to the menu to get to her profile page. Once she was on her profile page, she clicked on “photos” in the small navigation bar. 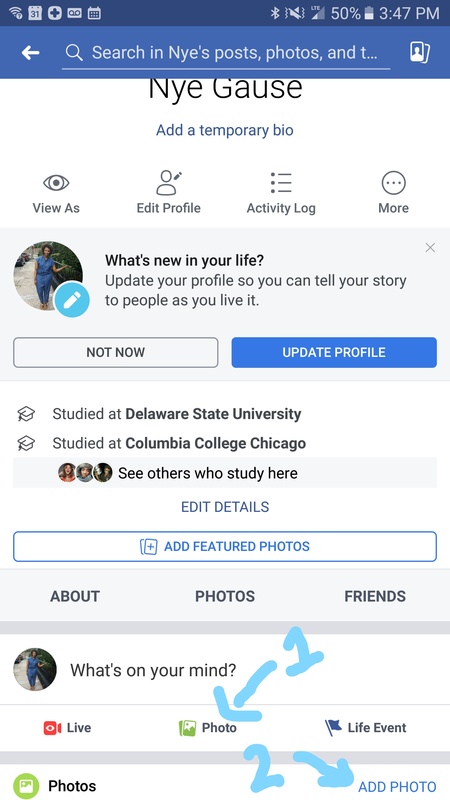 Once there, she couldn’t figure out how to add a photo, so she went back and clicked on her profile picture (didn’t ask her to upload a new profile picture). Trying to get my mom to talk and engage in conversation with me during this test was a struggle, but I managed to get some type of reaction, frustration. Before I knew it, the test was over, and she could not figure out how to upload a picture to her timeline. I wanted to try and complete the task. Although I have the app, and I think I am good at figuring out how things work without much guidance, I wanted to look at the application through the lenses of a designer using Norman’s seven design principles. 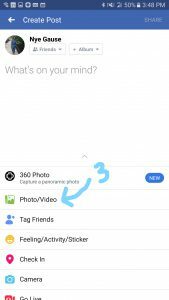 The user will discover that there are a few options (four) to add a photo to the timeline. Based on conceptual model, a user should know that when they see the word “photo” it involves an action dealing with a photo. Although they don’t resemble typical buttons, the bold text acts as the affordance, because it indicates that the user can perform the action of clicking. 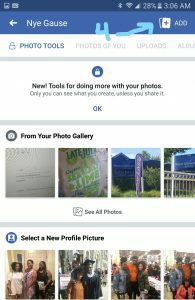 Add photo and Photo are CTAs on the profile page. 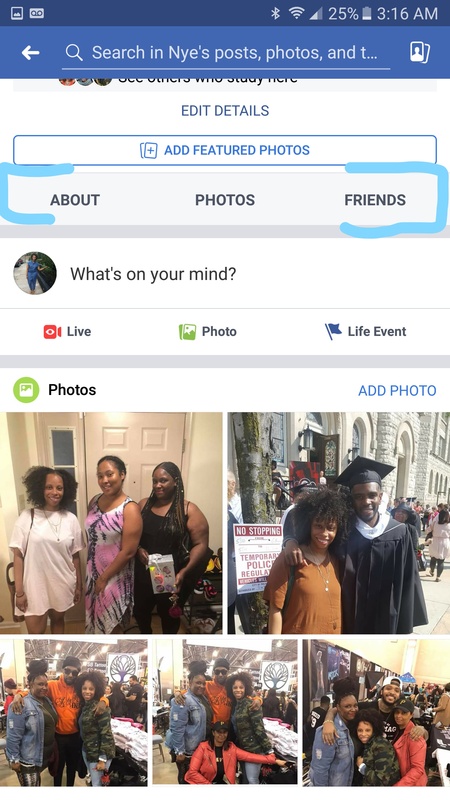 Unlike the profile picture upload that informs (because of mapping) the user that they will indeed be editing/uploading/changing the profile picture, these options don’t specify what type of photo will be uploaded and this lack of constraint could confuse the user (i.e. my mom). 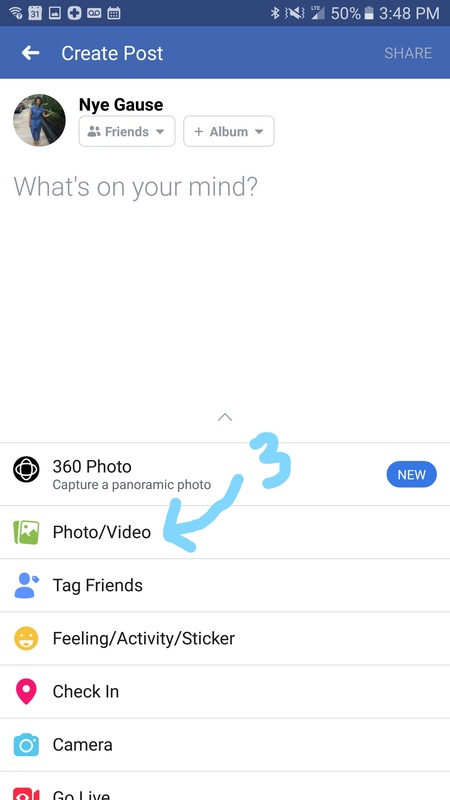 The other two options to add photos to the timeline are ADD on the photos page and photo/video under “What’s on your mind?” All of these CTAs signify that a photo can be added and receive feedback of being taken back to the user’s phone gallery to select the photo for upload. 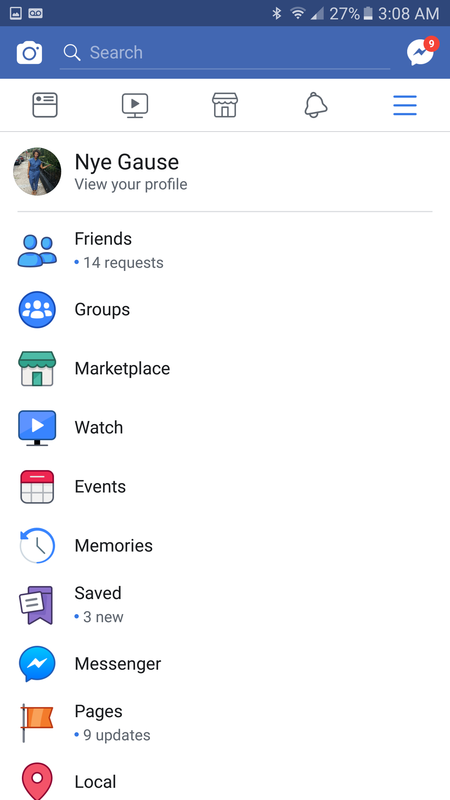 Overall, I think the Facebook application is a good design, but I’m not putting all of the blame on my mom for not knowing how to use the application. I think the application is a little cluttered, which could be the reason that my mom may have missed or was confused about which photo CTA to click. There is also no clarification on what type of photo would be added (unlike profile photo).